The majority of adults today will spend over 1/3 of their life at work. While the tasks of most jobholders may vary over the years, almost all of the work we do involves our upper limbs. Whether your job involves practical work or simply sitting at a computer all day, you can be sure that your hands, wrists, fingers and arms are almost certainly engaged. However, with jobs demanding so much from our hands and fingers, it’s no wonder that these limbs can often become strained from overuse. Regular computer use is even one of the most common causes of RSI (repetitive strain injury), a type of musculoskeletal disorder that affects millions of workers worldwide each year. Work-related musculoskeletal disorders are injuries that develop over a long period of time and primarily affect the muscles, joints & tendons. Muscle overuse and constant repetitive movements in the workplace are two of the largest causes of WMSD. Common workplace activities, such as bending, reaching, twisting or pulling are not exactly harmful when carried out in everyday life. However, if these actions are repeated on a regular basis over time, it’s enough to have a debilitating effect. What’s more, due to job constraints, these actions are almost always carried out with too much speed or exertion and not enough time is taken for recovery. These disorders can severely impact daily life and may cause pain during work and at rest. Other common causes of WMSD, such as poor work posture and RSI can also cause damage that may affect your ability to work. Powerball is a revolutionary device for rehabilitation and strengthening. 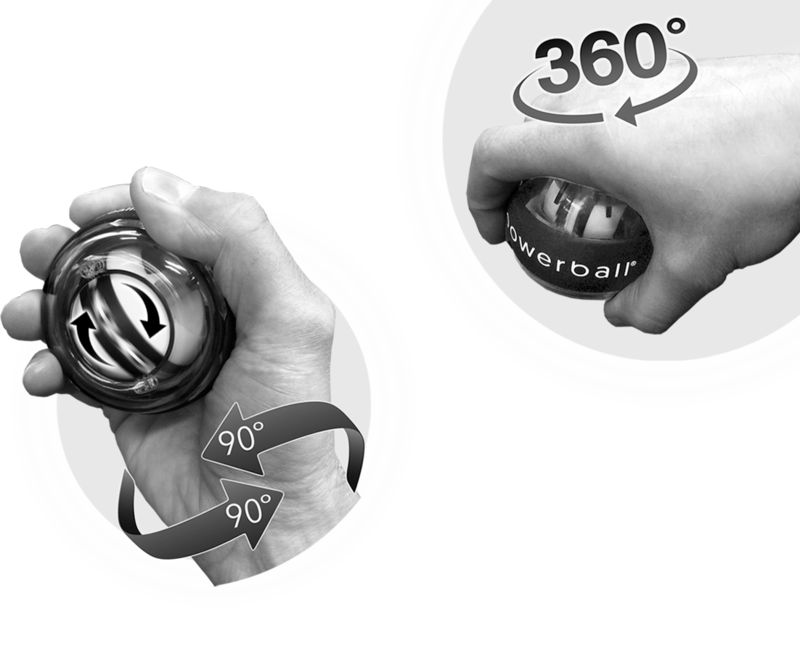 When used for as little as 3 minutes each day, Powerball’s unique isometric training acts as effective protection for your upper-body limbs and significantly lowers your risk of sustaining an injury in the workplace. Powerball actively strengthens as you spin, leaving your muscles, joints and tendons supple and strong. Increased flexibility, endurance & enhanced muscle strength are just some of the benefits you can enjoy when exercising with this unique gyroscopic device. Keep your upper body in shape and protect yourself from musculoskeletal disorders & RSI with Powerball. Typing and using a computer mouse are one of the biggest causes of RSI today. Both actions demand hundreds of small, repetitive moments from your hands and fingers that may cause irritation in the muscles and joints over time. If left untreated, this irritation can quickly develop into a painful repetitive strain injury. 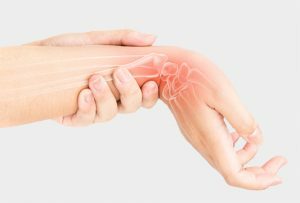 Common types of RSI, such as carpal tunnel syndrome, tendinitis and tennis elbow can have a serious impact on your muscles and may even affect your ability to work. Powerball targets and treats an RSI injury at its source. 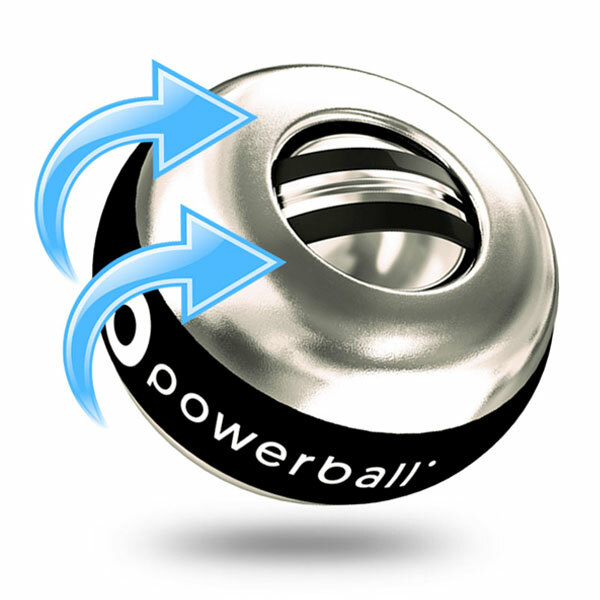 Spinning Powerball generates isometric resistance – the faster you spin, the more resistance Powerball creates. This type of resistance is 100% non-impact meaning it does not place any strain on damaged muscles or tendons. In fact, it does exactly the opposite: this resistance pushes and fights against your wrist movements and encourages the flow of healing, oxygen-rich nutrients throughout the entire upper-body area. In this way, using Powerball soothes and relieves pain in the muscle and joint, while simultaneously rehabilitating injury, such as a work-related RSI. Not only that, but Powerball effectively prevents long-term damage, cutting recovery times and preventing further injury in the process. Some say that ‘rest’ is the only way to treat an RSI. While that may be true, not many people can afford to take weeks off work to recover. Spinning Powerball at slow speeds repairs damaged muscle tissue, while gently strengthening the surrounding muscle and joint. This combination of active rehabilitation and strengthening encourages a quick and reinforced healing process – meaning shorter recovery times and the ability to get back to work healthy and pain-free. Keep your employees healthy & pain-free with our Powerball products. Powerball should be on the desk of every office worker and available to any staff member who undertakes tasks of a repetitive nature (manual labour, line work, machine work etc). Repetitive strain injuries (RSI) affect millions of workers worldwide and there has recently been a rise in “no win, no fee” claims against employers for repetitive strain injuries that occurred at work. Regular computer use and repetitive work practices are the most common causes of RSI in the workplace and can interfere with your staff’s ability to carry out their jobs. We can offer packs and products that can help prevent work-related RSI, helping to ensure that all workers are healthy and pain-free. We offer discounted rates for volume purchases for businesses. Simply contact info@powerballs.com to find out how we can help your business. Effective injury rehabilitation has never been easier. Here at Powerball®, we’ve worked alongside physiotherapists to develop a comprehensive selection of video exercises which demonstrate a step-by-step guide to recovery. Watch the video below or check out the range of programmes on our videos page for exercises targeting specific muscle groups. 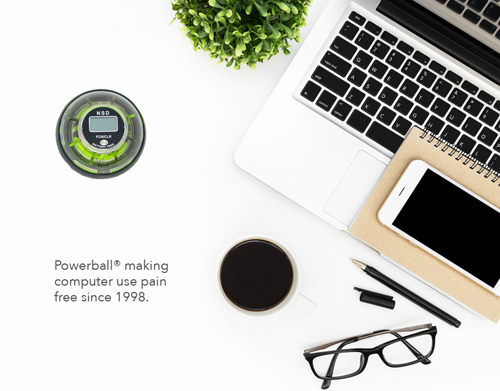 Experience these benefits for yourself with Powerball and create a healthier, safer and pain-free working environment today. Are you experiencing pain, discomfort or RSI in your hands, wrists & arms as a result of computer use, manual labour, driving or any other repetitive work-related task? Use Powerball for as little as 3 minutes a day to stay strong, healthy and pain-free.